Heat the pulled beef according to the instructions on the packet, pull away the meat using two forks and mix with the sauce. Place the bread (cut side down) on a griddle and grill for approx. 3 mins. 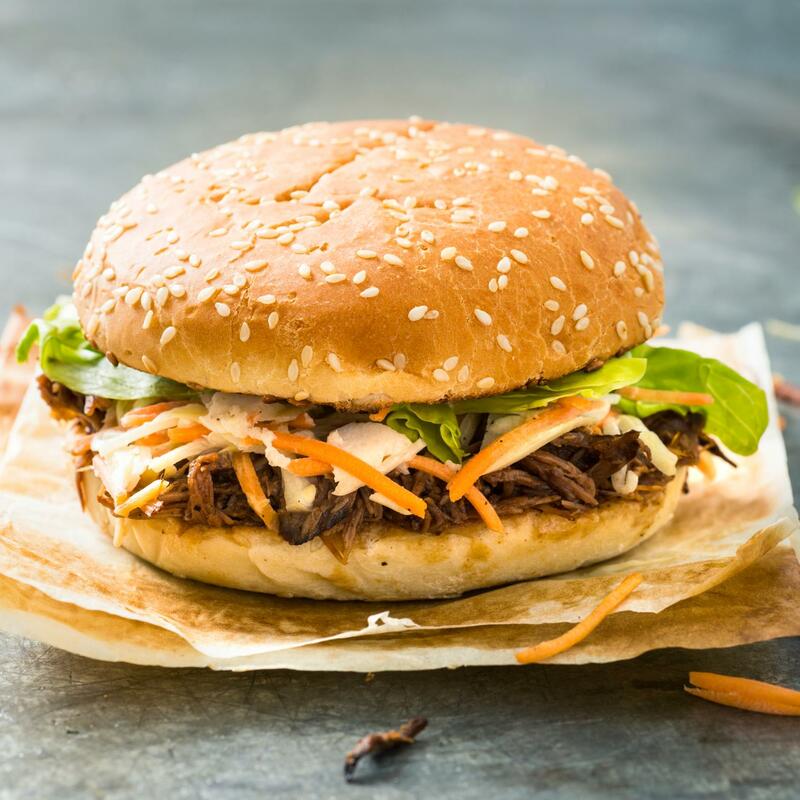 Place the pulled beef, coleslaw and lettuce on the bottom half of each roll, cover with the top half and press down gently.